Hi, I'm Cheryl with C-Line, and today we're going to talk about our clear reusable envelopes. C-Line's reusable envelopes are made from acid-free polypropylene, and are perfect for storing and organizing your letter sized documents. And because they are clear you can view the envelope contents quickly and easily. The envelopes load from the long side, and the hook and loop closure keeps your documents safe and secure. Each extra large envelope stores up to 150 8 1/2" by 11" sheets. C-Line's clear reusable envelopes are excellent for inter-office communication, and for storing your projects, reports, paperwork, and more. They're great for organizing your home, school, and business. Order yours now. That's all we have for today. I'm Cheryl with C-Line, thanks for watching. Check out the video to discover the features and functions of C-Line's Biodegradable Reusable XL Clear Poly Envelopes. 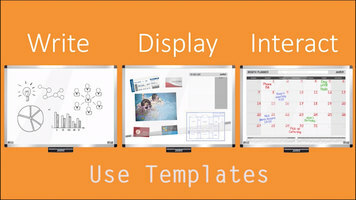 Use Smead Justick Templates with Smead Justick Electro-Adhesion Whiteboards for a variety of coaching, classroom, and office displays or presentations. 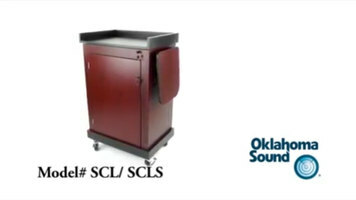 The Oklahoma Sound Smart Cart lectern fits the need for many presentation applications. Watch this video for more information on this unique item.